As the heart of the Midwest and the head of the South, NKY is an ideal location for your next military reunion or event. It’s not just our great location, awesome hotels and amazing Join Forces with NKY™ program that will make your reunion one to remember. It is all about the awesome experiences you will have in NKY. 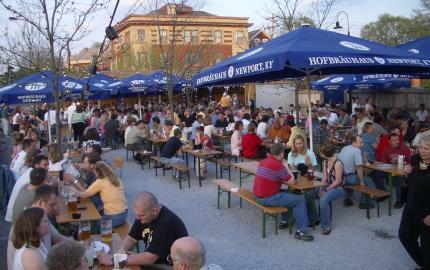 Experiences like taking your group to the Newport Hofbräuhaus. Hofbräuhaus Newport is America’s first authentic Hofbräuhaus, modeled after the legendary 400+-year-old Hofbräuhaus in Munich, Germany. Many veterans can remember visiting this legend in Germany—now visit the first in America! Fun and friendly is the atmosphere in the Bier Hall, with live music and about 250 soon-to-be close friends. There is also a quiet dining room for those who want to simply come and enjoy the delicious Bavarian fare. Many dishes are prepared with ingredients made locally for the Hofbräuhaus or imported from abroad. The Bier Garden, with freshly planted trees and shade awnings, will seat an impressive 400 guests with a spectacular view of Newport’s waterfront with the Cincinnati skyline as its backdrop. 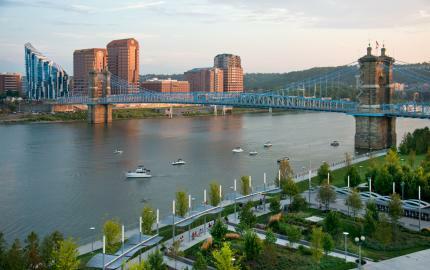 Maybe an incredible sight-seeing tour from the Ohio River is more your group’s speed. Make sure to check out BB Riverboats and see Cincinnati USA from a whole new perspective aboard the Belle of Cincinnati or the River Queen. Incredible dinner or lunch cruises give your group a memory of a life time and some wow-worthy photos. Maybe the New Orleans Dixieland Jazz Dinner cruise is right for your group or the Craft Beer and BBQ cruise is the way to go for your reunion. Whichever cruise you choose on BB, you can be sure everything&apos;s better on the river.